Another topnotch offering from the master craftsman in Bend, Oregon. Breedlove's Legacy Parlor Acoustic-Electric Guitar was built for the singer-songwriter looking for a warm, present midrange that projects valiantly from a smaller, more comfortable silhouette. Walnut and Sitka spruce lend clear harmonics and a strong fundamental for impressively focused tone, with all the renowned Breedlove balance and clarity. Other appointments include ivoroid binding, Gotoh 381 tuners, an African ebony Delta bridge, Legacy Wave fretboard inlays, and the high-quality L.R. Baggs Anthem TRU-Mic mic/pickup system. 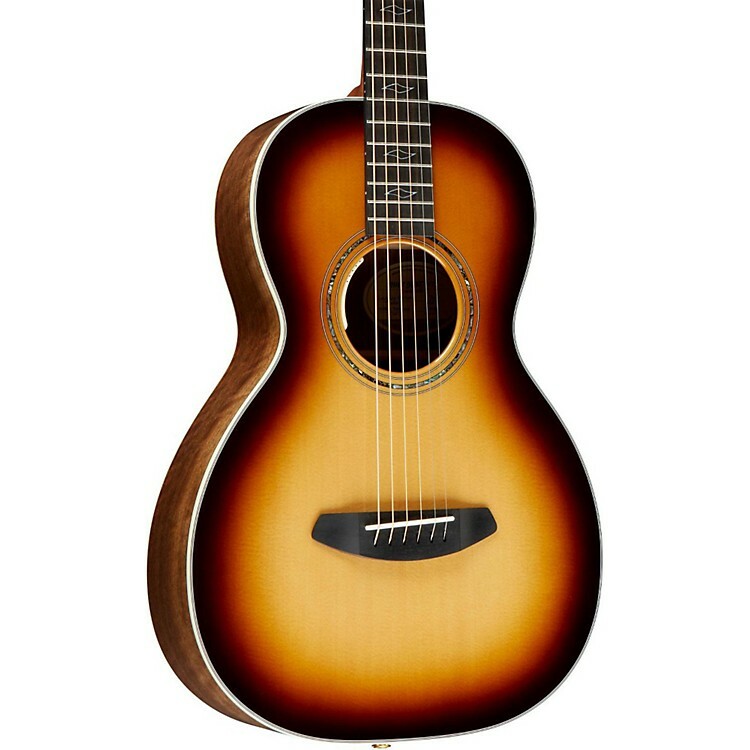 Grab one of these Legacy Parlor guitars today with a quick call or click today!